I've been wearing foundation daily since I was thirteen, yet have never felt like I've truly found 'the one.' I have chopped and changed between different drugstore foundations, however they have never given me exactly the finish I've been looking for. 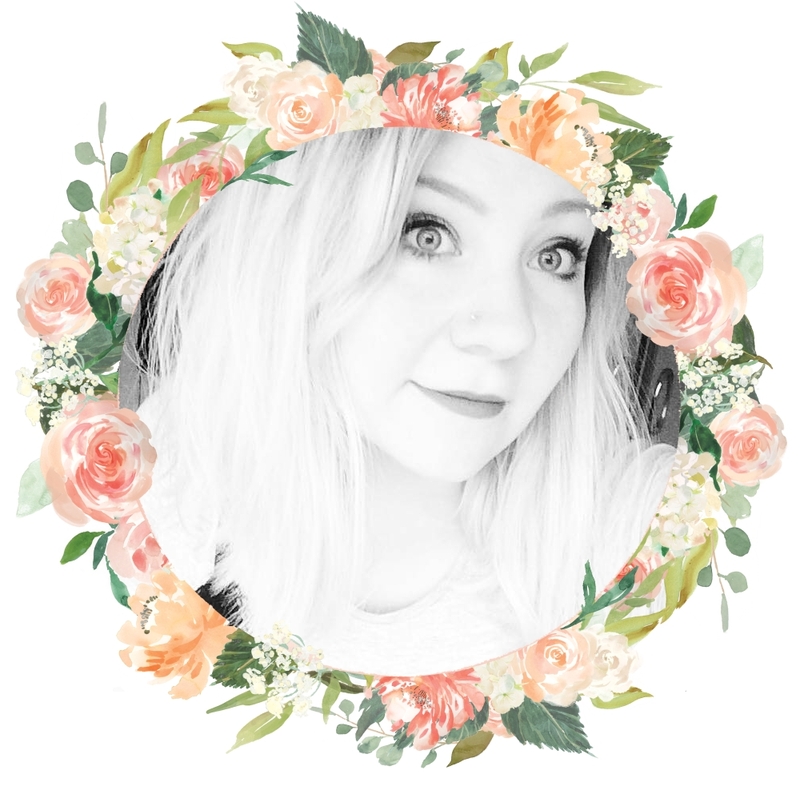 Over the last month, I have been trialling different high-end foundations kindly sent by Fragrance Direct in order to rate how they compare against each other and whether they're really worth shelling out on. 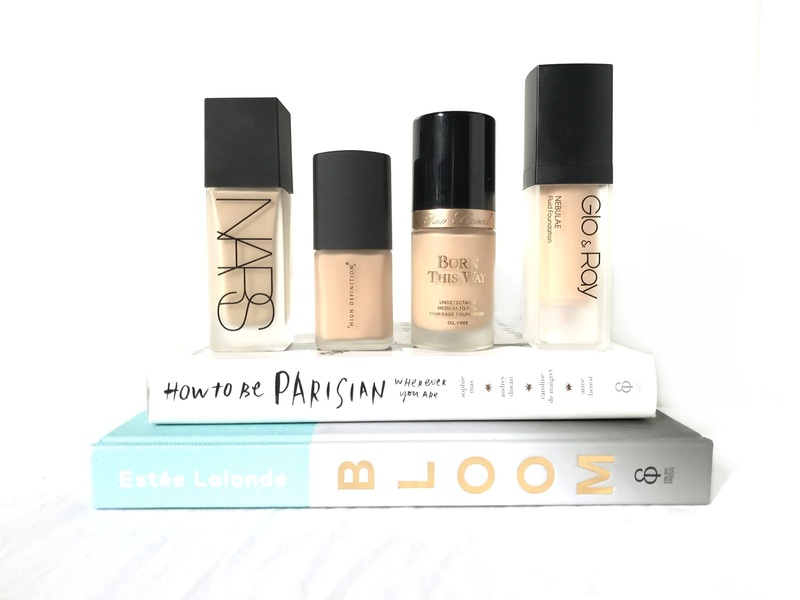 I found all of these foundations to be amazing in different ways and different situations, and people with different skin types may be suited to some more than others. 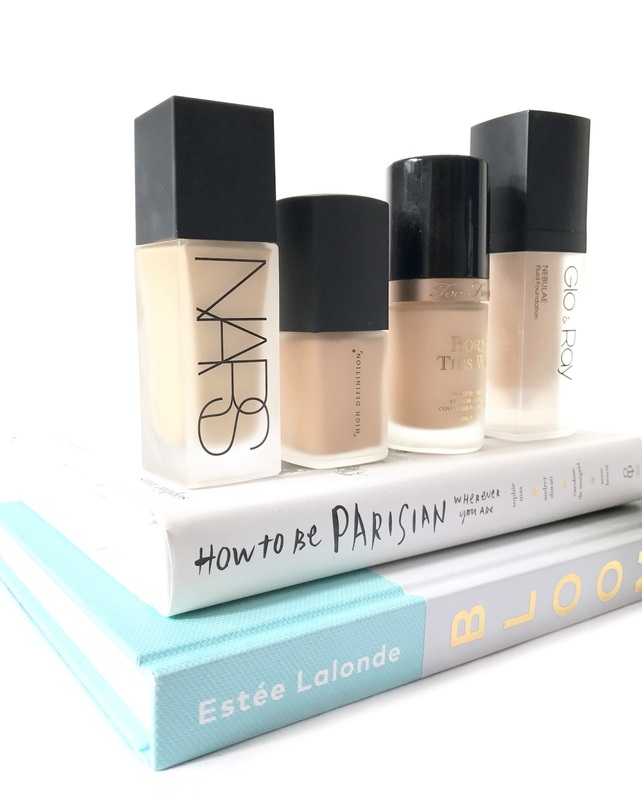 If I had to pick, I would definitely say the High Definition Beauty Fluid Foundation. It turned out to be a real dark horse in this competition! What's your favourite high-end foundation? Have you tried any of these? Click the blue RRP price to buy! I haven't ever tried any of these one, but my absolute holy grail foundation is the NARS Sheer Glow. You don't have to apply it with your fingers like the Luminous Weightless, and it truly lasts ALL day with absolutely no creasing or flaking. I put off trying it for ages as I get put off when a product gets too much hype, but Sheer Glow truly deserves the hype, it's the only foundation I'll ever use now. I absolutely love the use of the RuPaul gif at the end of this post girl, thats so perfect and so sassy! I want to try the Born This Way Foundation it sounds absolutely amazing and something that would be great for me and my skin type! HAAAa I love RuPaul, that made me giggle! Love it! I have never heard of the second brand, and considering how well it scored - I might need to look it up! I personally like the Too Faced born this way (mine is light beige) and I kinda like it aside it gets bit greasy on my nose but I haven't tried the NARS foundation. I should ask for sample once I visit sephora. I really like NARS Sheer Glow so the Luminous Weightless is next on my list to try!